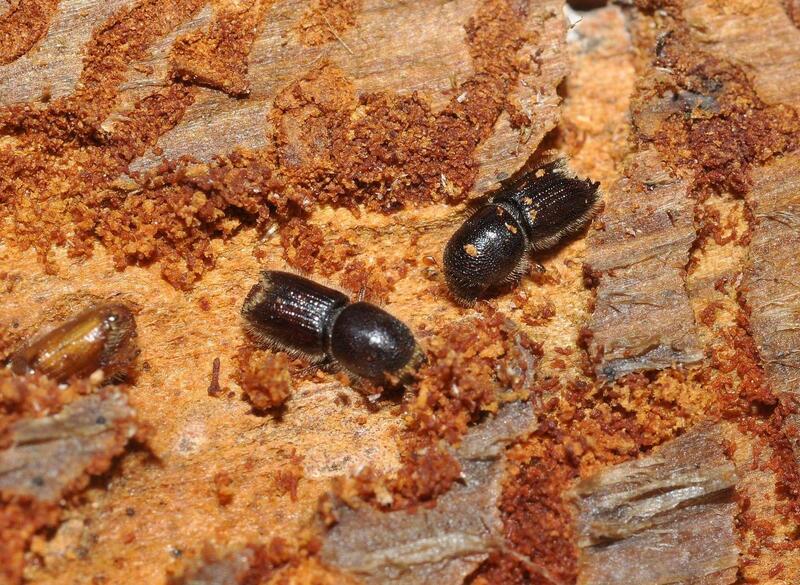 Ips beetles are a type of bark beetle that typically infest pines and spruce, especially those that are stressed due to drought or construction damage. 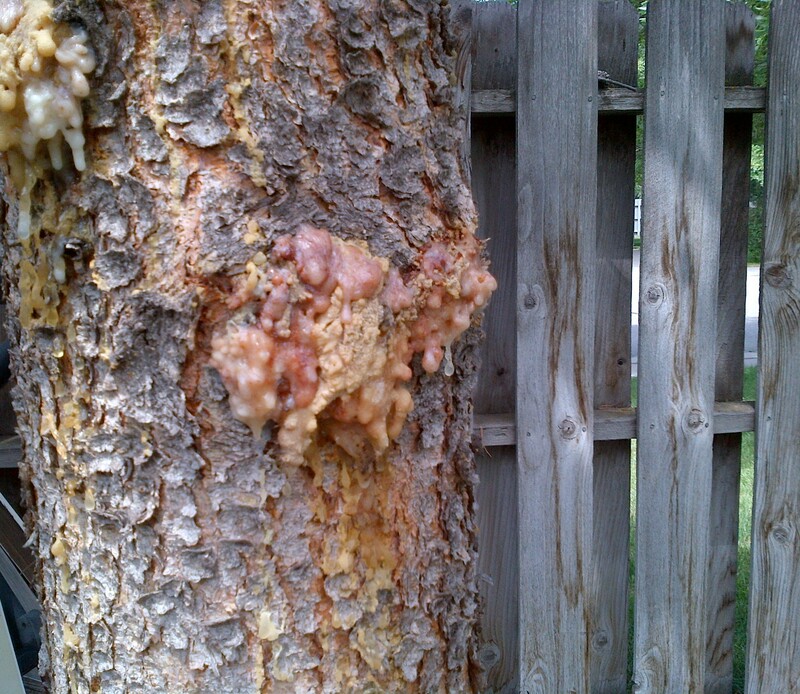 Pitch masses on the trunk and/or limbs and reddish-brown boring dust will often be produced when a tree is attacked. 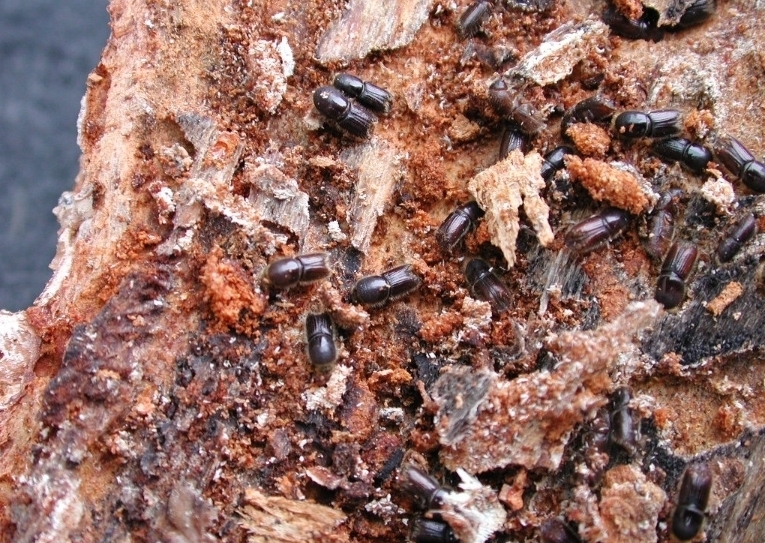 Unlike mountain pine beetle, infestation by ips beetles won’t necessarily kill the entire tree. However, repeated attacks over the course of several years often kill the host tree. Maintaining healthy trees is key to preventing ips attacks. Also, spruce and pines shouldn’t be trimmed in the warmer months of the year because pruning wounds can attract ips beetles. Controlling ips entails removing badly infected trees and spraying vulnerable trees to keep them protected during periods of ips activity.